I have seen Tortilla Warmers in stores for years, but I did not think that I needed another kitchen gadget that would fit only one purpose. Several years ago though a friend mentioned that she used her tortilla warmer not only for tortillas, but for keeping pancakes warm. That idea had me very interested. This would make it a dual purpose tool. And since we eat pancakes once a week, I would use it often. Plus, if it kept pancakes warm, it would makes things easier because everyone could eat at once. Now every week I place my pancakes straight from the griddle into my tortilla warmer , and the pancakes stay warm until we are ready to eat them. I also enjoy my tortilla warmer for tortillas, but I have used it far more for pancakes. In fact in our house it is called a pancake warmer, not a tortilla warmer. Do you own a tortilla warmer? Have you ever used it for pancakes? Wow, I do own one of these and have never tried it. Great idea! I’ll give it a try this weekend. Mine is plastic, but yours looks like stoneware. Does it really matter what material it is made from? @Libby, Mine is actually plastic it just looks like stoneware. 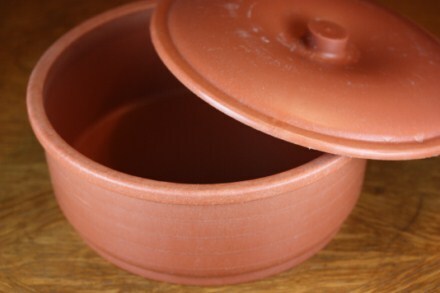 I have never used the stoneware, but I am guessing it would work just the same. Very cute and handy! I’m curious though, does it make them soggy at all? I could see them sweating because of the warmth. @Liz E., It does sweat a little, but with pancakes I have not really had an issue with them being soggy. If you left it for hours it might, but I usually just use it long enough for me to finish cooking the pancakes so it works fine. Would it work for other breads as well? I was thinking like biscuits or garlic toast…. @Jennie, It does, but the container does sweat a little, so you have to be more careful using it for bread type items. We use ours for potatoes when we have fondue. Keeps them nice and hot! Love the pancake idea. When I make pancakes, I just turn the oven on the lowest setting and put a plate in there. Then while I’m making the pancakes, I throw them into the oven. When I’m all done, I pull out the plate to serve and everyone gets hot pancakes. Since I don’t have much storage space or counter space in my kitchen, I think I’ll stick with my method of keeping things warm until serving. @Kim, I have done that also and I agree it works great, especially when serving a large group. And I agree if space is very limited this is not a necessary tool. For me though, during warmer weather especially, I often do not want to turn on the oven even at a low setting because it heats up the kitchen and house. @Lynn, I wasn’t disputing your idea, I hope it didn’t come across that way. I was just making another suggestion. As for heating the house, my house doesn’t have central air or an open floor plan, so my tiny, enclosed kitchen is far from our window A/C and already heats up quickly during any indoor cooking, whether on the stovetop or in the oven, so to me it doesn’t make any difference whether I turn on the oven or not. 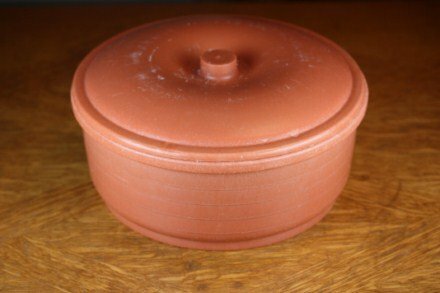 I do have a small ceramic casserole dish that someone once made for me, very similar to the tortilla warmer, so I could probably use that for the same thing and it might work just as well. @Kim, No you did not come across that way and I hope I did not either. I did not mean to. I appreciate you leaving the tip and I am sorry if I did not sound that way. I have one. Mine is the cheaper kind, a styrofoam one from dollar stores. It works great, and I also use it almost exclusively for pancakes or flapjacks. Works great! @Lynn, haha, no you didn’t make it sound that way. It was after I re-read what I wrote, I thought maybe it read a little harsh, like I was saying I didn’t like your idea. I actually thought it was a neat idea, especially if you have one of those tortilla warmers. I have two of different sizes. It’s great for warming hot dog and burger buns and oter breads in the micro (they come out steamed). I just put a paper towel on top and bottom to absorb the excess moisture and keep my breads from getting soggy. @Anne, The paper towel is a great idea! Thanks for the tip. Great idea! My tortilla warmer isn’t very big, though..I don’t know if I could fit enough in there for all 5 of us. I never make enough pancakes to warrant it, but it’s a fantastic idea I plan to share!! My advice is to ALWAYS make a huge batch of pancakes. A huge batch makes the exact same amount of MESS as a small batch, then you freeze the extras flat on a cookie sheet before bagging them up. Then pop in the toaster as needed. If frozen pancakes and waffles aren’t the most overpriced thing in the grocery store I don’t know what is! I have one of these & I’ve always used it for pancakes or buns. I never thought of using it for tortillas! What a great idea! I donated ours and now regret it. Hi there! Was just reading your post on the warmers & here is what my family has used them for. We go camping quite a bit with a decent sized group & do lots of outdoor cooking. 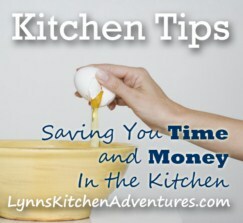 We love to use the warmers to keep sausages, eggs, bacon, pancakes, french toast & potato skillet breakfasts warm. Depending on what’s in the warmer, we line it with a paper towel, or foil.